Physitrack will help improve the quality of client education that your clinic provides. The more colleagues you add, the higher quality client education your clinic can provide. 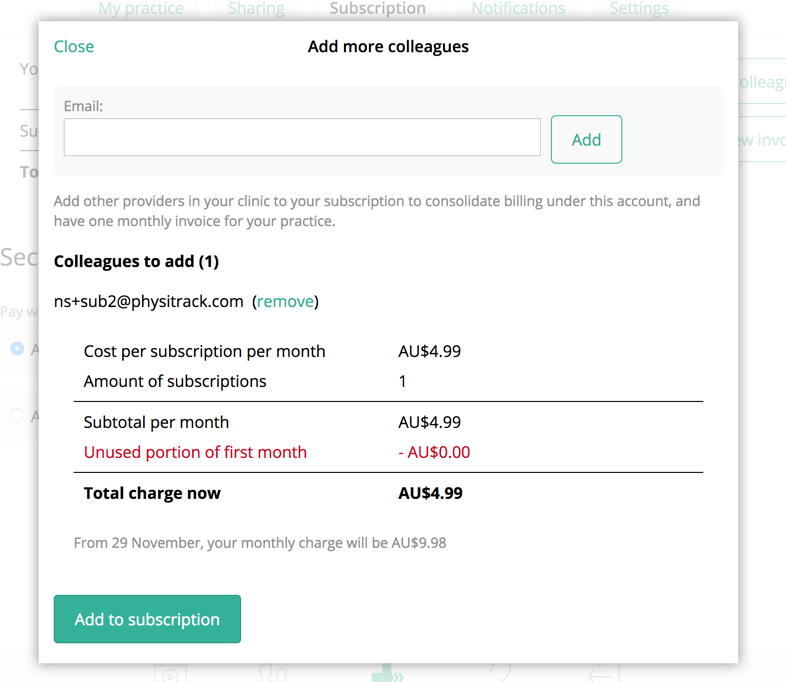 It's easy to add your colleagues to your Physitrack account, so that you receive once consolidated invoice each month for your clinic. This will become the account that will be billed and receive all invoices. 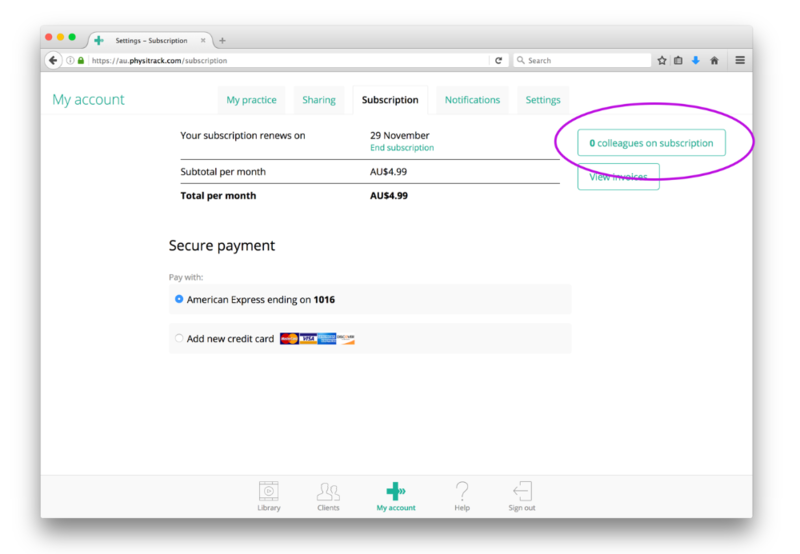 Go to My account > Subscription and click the "0 colleagues on subscription" button. Enter the email address of the colleague that you want to add to your subscription. If you want to add more colleagues, enter more email addresses. When you're done, click the "Add to subscription" button. You now see that you have one colleague on your subscription. To remove a colleague from your subscription, click the ".. colleague on your subscription" button and remove the colleague. More than 10 practitioners in your practice? 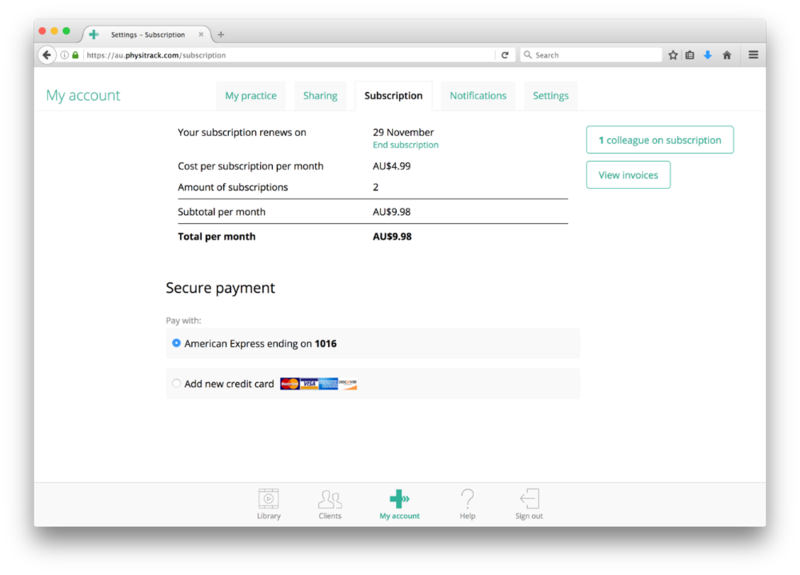 If you have more than 10 practitioners in your practice, we offer a specialised solution for managing your subscriptions. Please email sales@physitrack.com for more information.